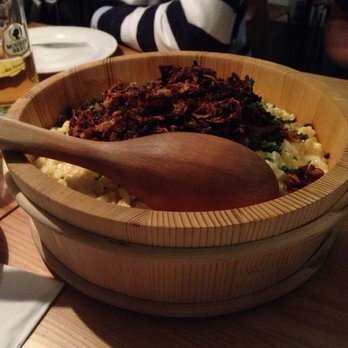 So after 8 months of living in Vorarlberg, I wanted to write down some thoughts regarding Austrian food. We all know what our assumptions were and what stereotypes we believed of Austrian food before we moved here, and so I wanted to reflect upon this and share just a few of my experiences so far. So first off, contrary to popular belief, pork is not the only meat available here. The quality of the pork is extremely good, but they do have other options. 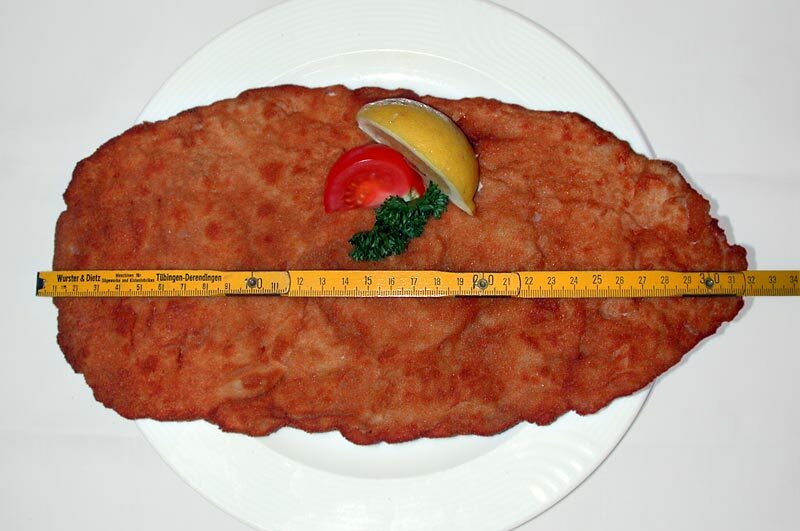 Even the famous wiener schnitzel is made from veal rather than pork. I read in a book somewhere that Austrian’s believe that a good schnitzel should be the size of a lavatory seat and like this particular item should not be shared. This cannot be comprehended until you visit the Schattenburg in Feldkirch. This was one of the first meals out we had here and when my schnitzel was served it did not fit onto the plate. I personally prefer the analogy of liking it to an elephants ear, but either way, if you manage to finish this on your own, I take my hat off to you. 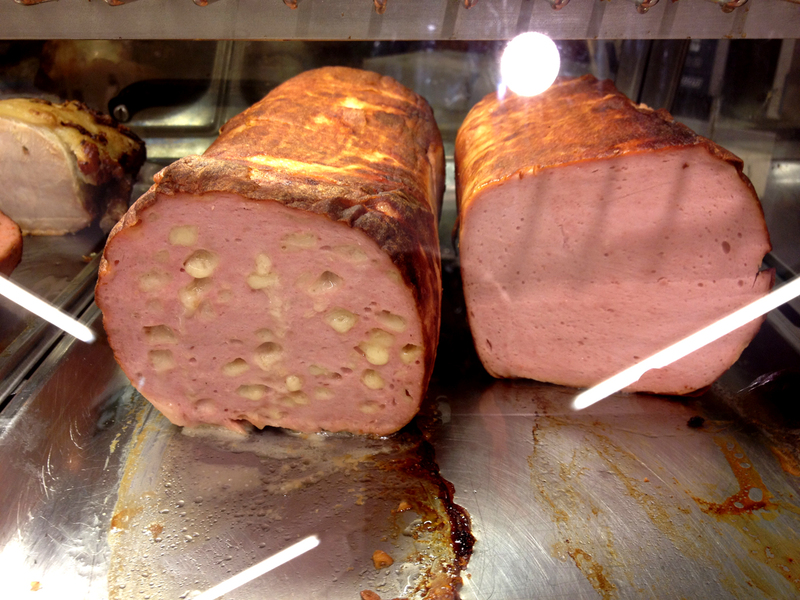 While on the topic of meat (I use this term very loosely here) I would like to introduce leberkäse. The literal translation is ‘liver cheese’, and who wouldn’t want to try this tasty sounding dish? I heard a lot about leberkäse before moving, and we even found a German bakery in Sydney that sold it, but as my boyfriend kept telling me, its just not the same as what you get at home. My first concern was that no one seemed to be able to tell me what meat is used to make it (and in this case I think ignorance is probably bliss) and at first glance it is not the most appeasing sight, especially the cheese variety. Eating leberkäse does not seem to be restricted to a particular time of day and is eaten for breakfast, lunch and in the middle of the night (after copious amounts of alcohol from what I saw). On our first morning here I jumped right in and tried it, and I have to say it is actually not bad, served warm in a fresh semmel (bread roll), however it has yet to (and probably never will) make it into my top ten Austrian foods. “Would you like a side of carbs to go with your already heaving plate full of carbs?”. I have found this to be normal practice here and a constant love hate relationship for me. Definitely making it into my top ten is käsespatzle, which is basically a pasta like dish, covered in cheese and fried onions and apparently cannot be s erved in restaurants in anything smaller than a bucket. However, if that was not enough, the standard side dish is potato salad, just to ensure you have carbo-loaded for the remainder of the year. This is my favourite treat meal here, and unlike the elephants ear, I have no problem polishing a whole bucket off. 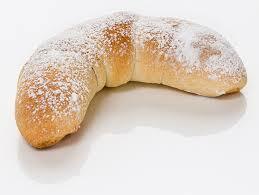 One of life’s small pleasures is the smell and taste of freshly baked bread, and Austrian’s embrace this wholeheartedly. One of my absolute favourite things here is that there is a bakery on every corner and the variety and quality of freshly baked bread is fantastic. There is absolutely no excuse for buying supermarket packed sandwich bread. 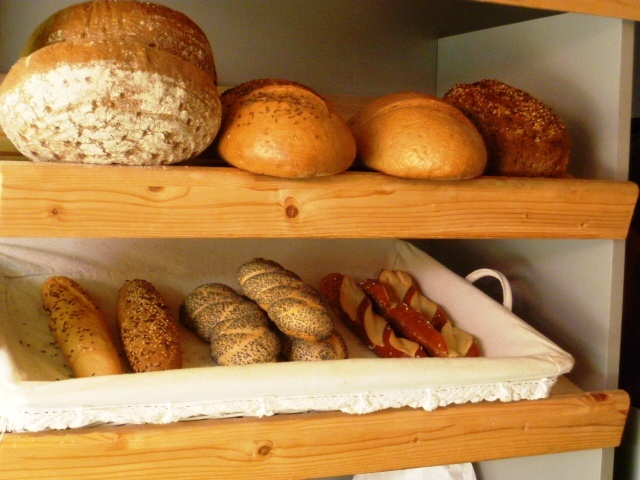 Rye bread is the standard rather than a white loaf and spelt (dinkel) is readily available. This has now quickly turned me into a bread snob (to accompany my coffee snobbery). The only complaint I do have is that I have found it hard to find an early morning running route that does not go passed a bakery, testing my will power with the alluring smell of baking bread. That really is a first world problem. Even though it took me a while to find my coffee mojo here, if you are not a lover of coffee and cake, firstly what is wrong with you, and secondly I would recommend not visiting anyone. Every visit to family or friends always, without fail, results in an offer of coffee and a slice of freshly baked homemade cake. No Tesco mint slices or Coles Tim Tams would ever be offered here. I have found that they are extremely proud of baking their own cakes (particularly the older generations) and would not dream of buying one from a bakery to serve to guests, unless it was the last resort. We were even apologised to when we dropped in to see family (unannounced) and she didn’t have a homemade cake to offer us. Like with the bread, cake is an institution here; even the Hairy Biker’s dedicated a whole TV show to cakes from Austria. If you are not one for baking your own, never fear, the Conditorei’s offer the most amazing mouth watering varieties of cakes and pastries, from the traditional Apple Strudel and Sachertorte, to delicious Marillen Topfen Tasche and Nuss Kipferl (nut croissant, and my favourite, especially freshly baked from the small bakery down our street, which is only open on Sunday mornings, so feels e ven more of a treat). In my early unemployed days here, I would sometimes visit one of the many Conditorei’s in the area during the week, and apart from sticking out like a sore thumb, I found it fascinating watching all of the retired ladies catching up for a good gossip, digging into a generous helping of cake hidden beneath a mountain of cream, which would not be complete without a coffee, topped with the same amount of cream again. My opinions on the coffee here is well documented and so I thought I would turn my attention to alcohol (for this article only, and not in general to replace drinking coffee). Drink selection can sometimes be somewhat limited, with the biggest choice of the evening normally being do I want to make my beer or wine “süß” or “sauer”. The good news is that the craft beer scene is making an appearance in more and more bars and I am discovering the best places to go to get a really nice glass of red, which should absolutely not be made süß or sauer. I always remember my first visit here in 2012 and we were at a Fasching parade (which is an eye opener in itself for a newcomer) and I was given a schnapps shot by someone in the parade, and quite frankly I would have preferred the sweets they were giving out to the children. 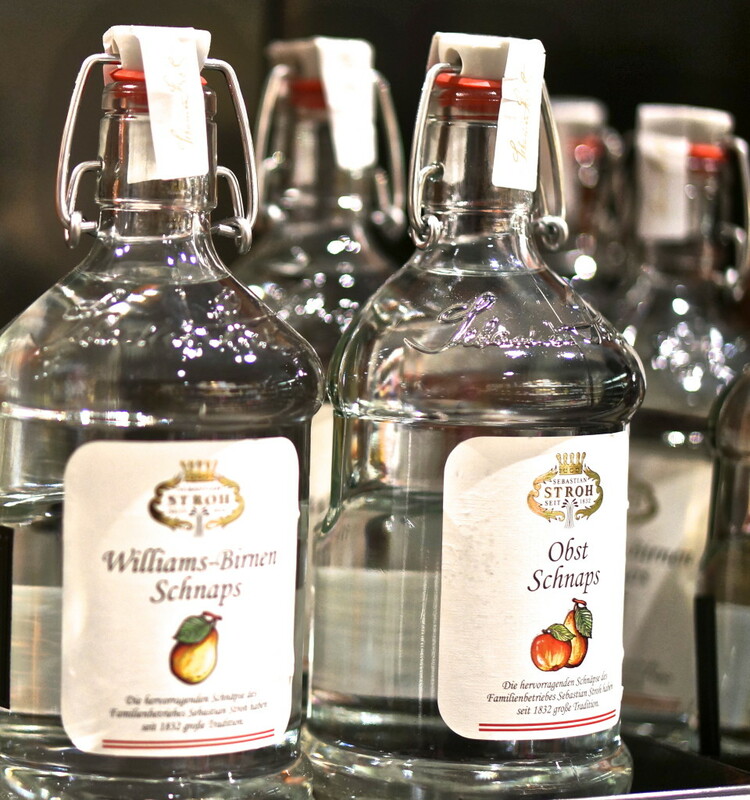 Traditionally drunk after a meal, Schnapps is one custom unfortunately I do not think I will ever embrace, and I quickly learned not to praise anyone on their beautiful Christmas Tree for fear of being forced to drink copious amounts of the stuff. As much as Schnapps can be found in every cupboard, Sekt (a type of sparkling wine) is something you will always find present in any Austrian’s fridge. Any celebration, no matter how big or small, is toasted with Sekt and I have been greeted into many a home by a glass, perhaps just for arriving, I’m not sure. 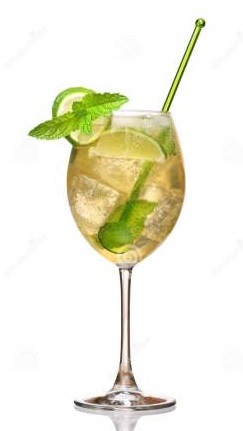 As the Summer arrives and the weather heats up I find I am seduced by a drink called Hugo, which is Sekt, a dash of both elderflower and lime, topped up with soda and garnished with mint. This was a particularly dangerous affair due to its refreshing taste and ease of drinking, but one that is not to be missed. For those of us who have moved here from big cities, or any city really, I felt it was like stepping back in time when we first moved. My boyfriend used to tell me the story of how he would ride his bike to Germany just so he and his mates could go to MacDonalds when they were younger. Having never lived anywhere where you are not tripping over a MacDonalds, or a Starbucks, or where you can smell that famous Subway smell from a block away, let alone having to travel to another country for it, this astounded me. I think it brings a sense of innocence to the area and the fact that they have resisted this type of lifestyle, and on the whole still do, I salute them for it. The focus here is more towards supporting local suppliers and local produce, which is fantastic, and the amount of weekly markets on your doorstep means that you could probably live without stepping foot into a supermarket ever again. Embracing a new culture and settling in to a new way of life means learning everything about that place, including the language, the people, the traditions and also the food and drink. I do miss, and always will things about Australia and England, and during my time here I have tried to introduce a bit of my background into those around me, showcasing mince pies at Christmas, and baking lamingtons and scones for the family. However I have loved every minute of discovering this new country, especially its high and lows of the culinary variety, and here is to many more to come :).